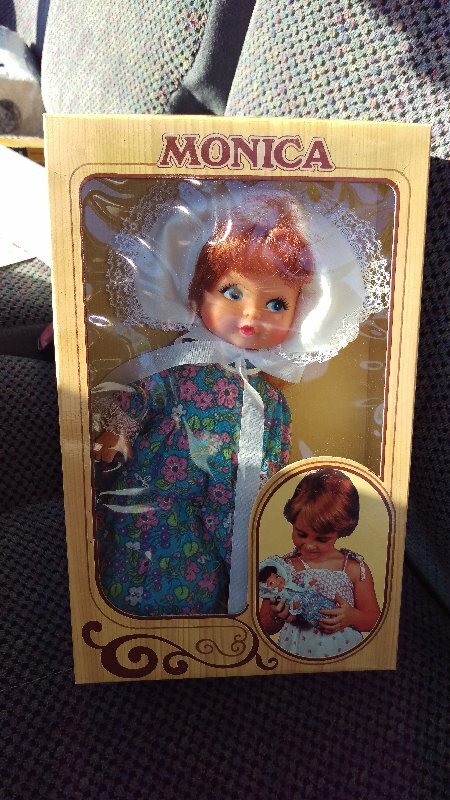 I recently had a request from information from a reader regarding this doll. He has recently acquired a case of them and is curious to learn a bit more about them. 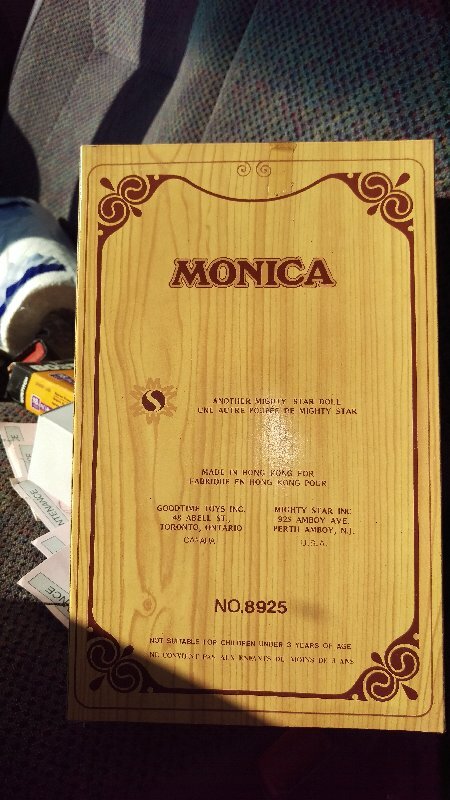 He provided me with two photos of Monica and her box. As you can see she is made in Hong Kong for the Good Time Toy Company of Ontario, Canada and Mighty Star of New Jersey, USA. Brandon thinks that she might be from the 1970s and I tend to agree, perhaps the latter part of the decade. The back giving more information. I’ve done a bit of searching and it seems that Good Time Toys were making dolls until 1977. They acquired The Star Doll Manufacturing Company in 1970. Star had been making dolls since 1952. Good Time Toy Co. Star marked their dolls “Star”, “Star Doll” or “Mighty Star” and Good Time Toys used some of the same head moulds. My feeling is that as Monica was made in Hong Kong it may have been an attempt by the company to cut costs before they finally closed. Anyway Monica is quite a pretty doll from that era. Does anyone remember having one as a child or perhaps has one in their collection who can add to the story?